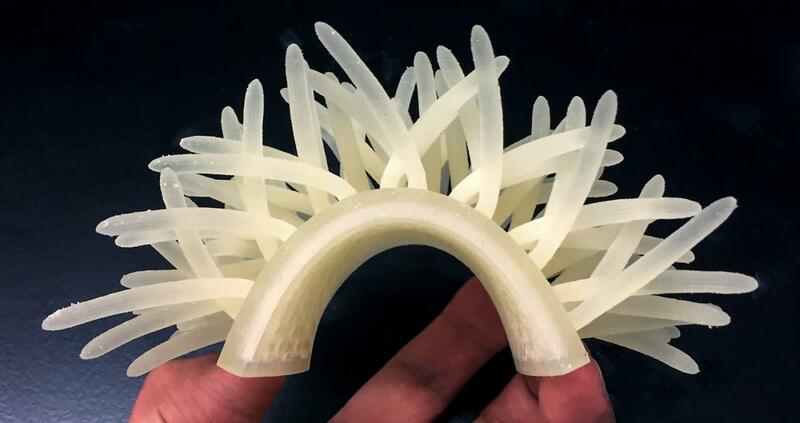 Hedgemon, LLC is a biomimicry start-up developing hedgehog-inspired impact protection technology for concussion prevention. This innovation in hassle-free building sensor networks will allow facilities to implement HVAC and other sensor networks without the up-front cost of wired sensor networks and yet without the recurring cost of batteries conventionally used in these types of systems. 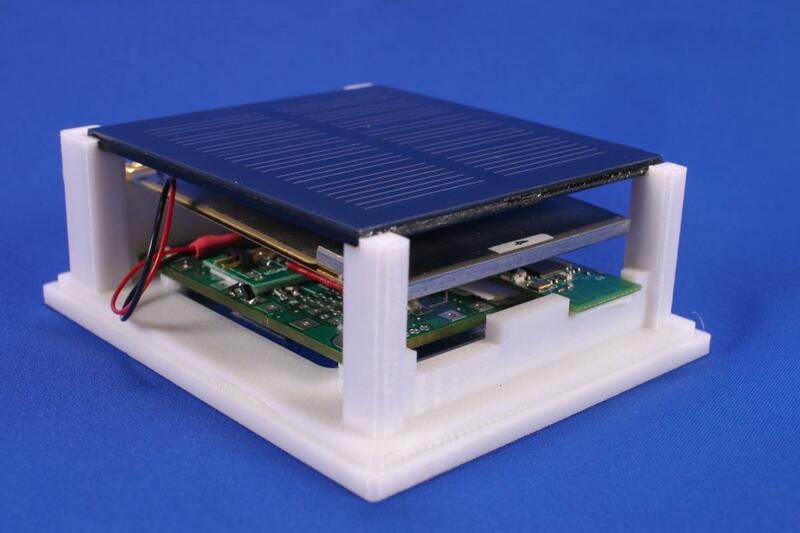 A mechanical energy harvester powers an ASIC sensor, both designed by Dr. Phillip Feng's research group. The information and power is fed to an existing ultra low-power 200 microwatt transmitter. The resulting system is cheaper and longer-lasting than competitive products on the market today. 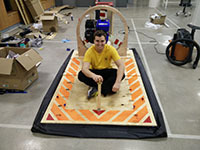 The goal of this design project was to design and build a steerable hovercraft capable of transporting a 200 pound person at speeds of 10 mph or greater. Researchers added tubercles to the leading edge of wind turbine blades for a 4.8% increase in lift-to-drag ratio. This increase in performance is expected to translate into increased energy output versus conventional blades. After successful computer simulations, the researchers used the ShopBot CNC table router to machine a fiberglass mold out of machinable wax, which was then used to cast the turbine blades. These prototypes were then tested in a wind tunnel facility to verify the increased performance predicted by the computer simulations. 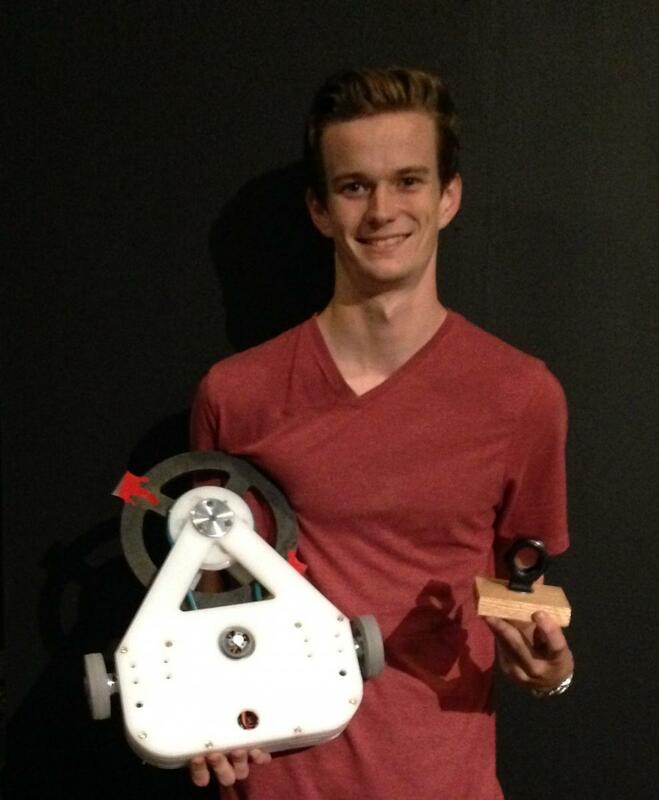 This 12 pound "hobbyweight" battling robot took first place at the 2016 "Battle at the Parkway" competition at the Franklin Institute Museum in Philadelphia, Pennsylvania. The robot was designed using an UHMW plastic body machined on the ShopBot CNC table router at think[box]. From Pirate Tavern tables to bank vaults, think[box] has allowed Trapped! Escape Room to build numerous unique creations. Using the resources within think[box], game designer Geoff Bigler has brought to life a variety of puzzles, prototypes, and props for Cleveland's first escape room. 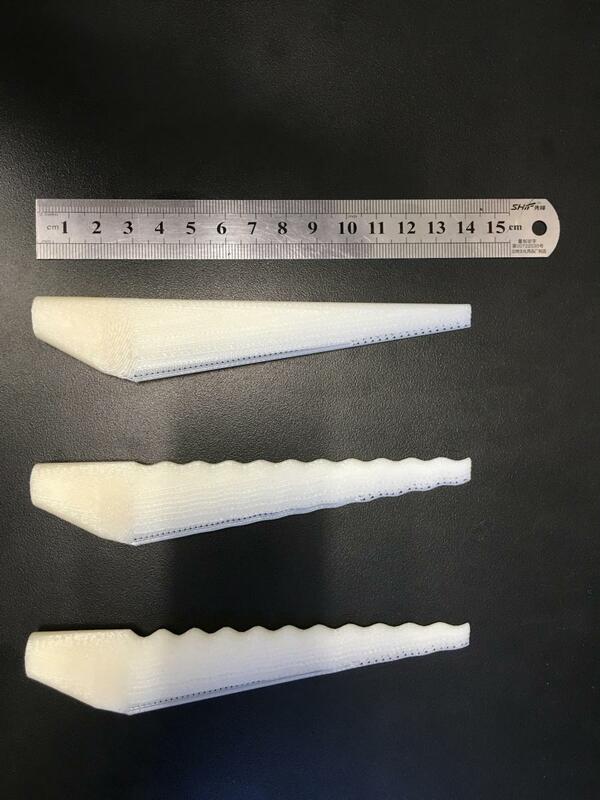 Researchers from Case Western Reserve University and University Hospitals are working on commercializing a new device that converts two dimensional ophthalmic ultrasound images into three dimensional models. They used think[box] to 3D print components for positioning the device in front of the eye. 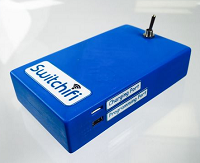 Switchifi is a budget DIY device for remotely flipping an existing wall switch on or off as part of the Internet of Things. An Arduino Nano controls a small servo that moves the switch based on instructions issued over WIFI from a smartphone with the Blynk app. 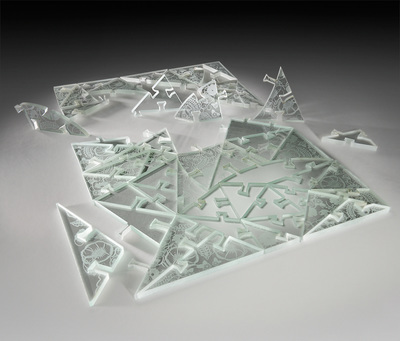 These opulent laser-etched jigsaw puzzles are composed of plate glass and incorporate non-traditional interlocking puzzle shapes. 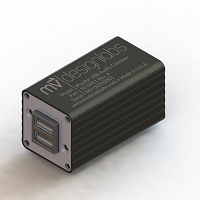 MV Designlabs, a local company founded by two Electrical Engineering and Computer Science alumni of Case Western Reserve University, created the iPlayAir USB Audio Gateway for use in private and commercial airplanes. This device charges up to two mobile Apple devices while simultaneously streaming high quality audio through the airplane's own audio system. The system has been tested to ensure electromagnetic compatibility with flight critical systems such as radios and communications equipment according to the RTCA DO-160G standard. The designers used the thermal camera at think[box] to diagnose and solve an overheating problem they encountered during development.